 @dennistanks is on Carousell - Follow to stay updated! 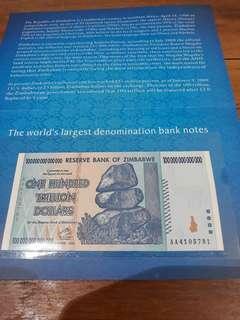 🚚 The world's largest denomination banknote Republic of Zimbabwe One hundred trillion dollars. S/N: AA4105781. UNC condition. 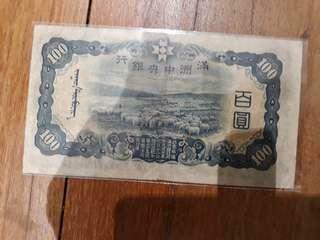 🚚 1932 Manchurian banknote 满洲中央银行百圆. 背粮仓 S/N: 0005199. 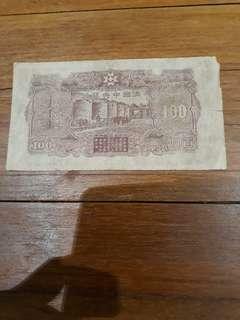 🚚 Manchurian banknote 满洲中央银行百圆 Error note with wrong margin towards right side. S/N: 0348197. 🚚 1912 Russian banknote. 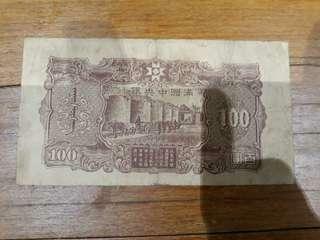 The biggest size banknote in the world. S/N: 079438. 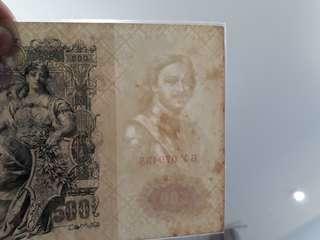 🚚 1912 Russian banknote. 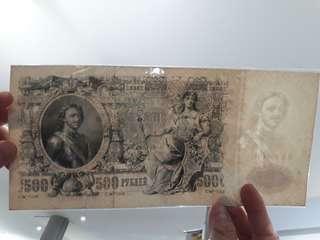 The biggest size banknote in the world. S/N: 038161. 🚚 1984 Singapore coin set. 7sets available. 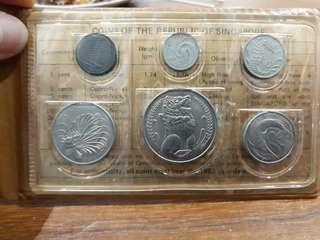 Singapore Coin Set Year of the Rat. 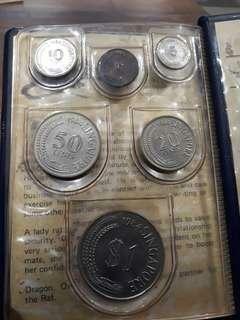 $25.00 per set. .
🚚 1983 Coin Set Year of the Boar. 7 sets available. $20.00 per set. Preferred to meet up at convenient MRT station.